Meet the UK artists breaking boundaries in film and moving image and experience genre-bending documentaries and lyrical time-travelling tapestries on the big screen as we welcome back to Watershed the latest works from the six shortlisted artists for this year’s Jarman Award. In this diverse and thought-provoking programme, the artists up for this year’s Award; Adam Chodzko, Seamus Harahan, Gail Pickering, Alia Syed, Bedwyr Williams and Andrea Luka Zimmerman have been chosen for creating bodies of work representing uncompromising power, beauty and humour. The programme showcases the breadth of practice within contemporary filmmaking, from extraordinary documentaries and lyrical storytelling to mesmerising works that interweave glimpses of the past with digital technologies. Inspired by visionary filmmaker Derek Jarman, the Jarman Award recognises and supports artists working with moving image and celebrates the spirit of experimentation, imagination and innovation in the work of artist filmmakers. 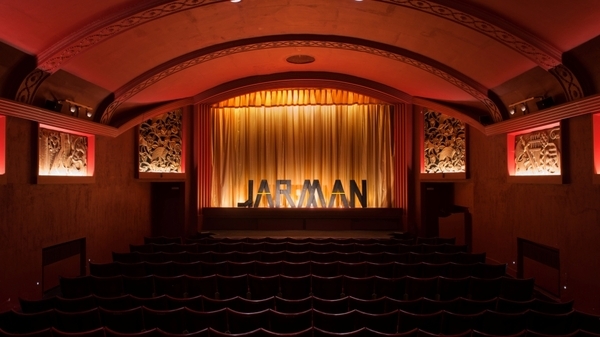 The winner of the Jarman Award will be announced on 30 November 2015 at a special ceremony at the Whitechapel Gallery and receive a £10,000 prize. The Award is supported by Channel 4, who commission a number of the shortlisted artists to produce new films for their acclaimed Random Acts arts strand. With an introduction by shortlisted artist Bedwyr Williams hosted by curator and researcher Alastair Cameron.